Choosing solenoid valve seals and selecting the correct material will ensure that your valve is not only safe, but that it will have a long working life. You will often find that the seal is the limiting factor for many applications where solenoid valves are used. The following information will provide you with a general overview on the compatibility of solenoid valve seals, materials and media’s. For further information consult your chemical resistance chart or your existing chemical provider. The chemical name of the material Nitrile is Butadiene Acrylonitrile; however there are additional names that are often used to refer to Nitrile including NBR, Buna-N, and Buna. Properties: NBR can withstand media temperature of 90°C constantly and intermittent temperatures up to 120°C. Characteristics: Resistance to the effects of ageing caused by heat and abrasion is quite high but susceptible to the effects of ageing caused by sunlight and UV. Media: NBR is most commonly used with varying fuels, oils and gases. The chemical name of the material EPDM is Ethylene Propylene Diene Monomer. Properties: EPDM can withstand a constant media temperature of up to 120°C. Characeristics: Resistance to heat, sunlight, UV, abrasion and tearing are all good but reacts poorly with oils, fuels and many hydrocarbons. Media: EPDM is most commonly used with hot and cold water, low pressure/temp steam, air and other neutral media. Viton is the DuPont trademark of FKM (chemical name Flouro Elastomers). Properties: FKM can withstand a media temperature of up to 150°C. Characeristics: High resistance to heat, sunlight, UV, hydrocarbons, aggressive chemicals and ozone but reacts poorly and should not be used with ketones or acetone. Properties: Teflon (PTFE) can withstand media temperatures of up to 180°C. Characteristics: Practically resistant to all fluids and has a very low level of friction. Major drawback is that eflon (PTFE) offers very little elastic movement, limiting its applications. Please note: Valves Online cannot be held responsible for any of the information provided above on solenoid valve seals, materials and media's. 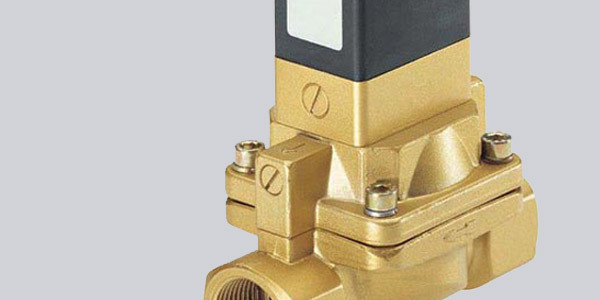 Solenoid Valves can be purchased online 24/7 365 days a year from Valves Online Limited.